The Rosehill Gardens Racecourse is located in the Sydney suburb of Rosehill. One of the main events held at Rosehill is the Golden Slipper race for two year olds. Rosehill hosts two major carnivals in autumn and spring that provide top class racing including the prestigious Golden Slipper Festival in April and Golden Rose Day in August. A new members grandstand has been built with spectacular facilities, making Rosehill one of the best racetracks in the country.The course can be easily reached via the Rosehill railway station. 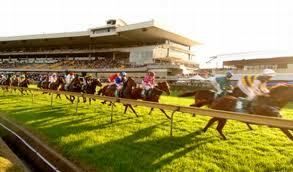 Rosehill is a very flat course with a circumference of of 2048 metres and a finishing straight of 408 metres. It can be quite a specialists racecourse, and front runners given an easy lead will win more often than not. This barrier is on a chute in the middle of the racecourse. There is a 300 metres run until a sharp double turn. Therefore having an inside barrier is crucial. Similar to the 1100M start, starting on the same chute because of the sharp bend into the straight inside barriers are a big advantage. This barrier starts on the course proper with a straight run of about 300 metres to the first turn. Inside barriers have the advantage. This barrier is located in a chute off the course proper with a straight run of about 450 metres to the first turn. Inside barriers are preferred but the advantage isn't massive. This barrier starts on the course proper with a run of about 350 metres to the bend. Inside barriers have the advantage. Similar to the 1900M start, inside barriers have a slight advantage. There is a run of about 400 metres to the first turn, and inside barriers are only slightly favoured.